I'm a worrier. An over-thinker. Prone to anxiety. I get anxious when I meet new people, when I drive places I've never been before. I get cold, sweaty, shaky, and sick to my stomach. So you can see why I chose brave as my word of the year for 2014. I can focus on that one word and it feels like I'm chanting "you can do this" over and over to myself. Yesterday I had a chance to put my word to good use. I drove somewhere I'd never been before (and my GPS tried to mislead me, but I out-smarted her) to work with people I don't know very well, doing something I'd never done before. A good mantra. My wife deals with panic disorder and general anxiety. It's a nightmare for her at times. YAY! I'm glad it worked out. Keep up the good work. I like the mantra of being brave. It can be applied in so many ways and to so many different situations. 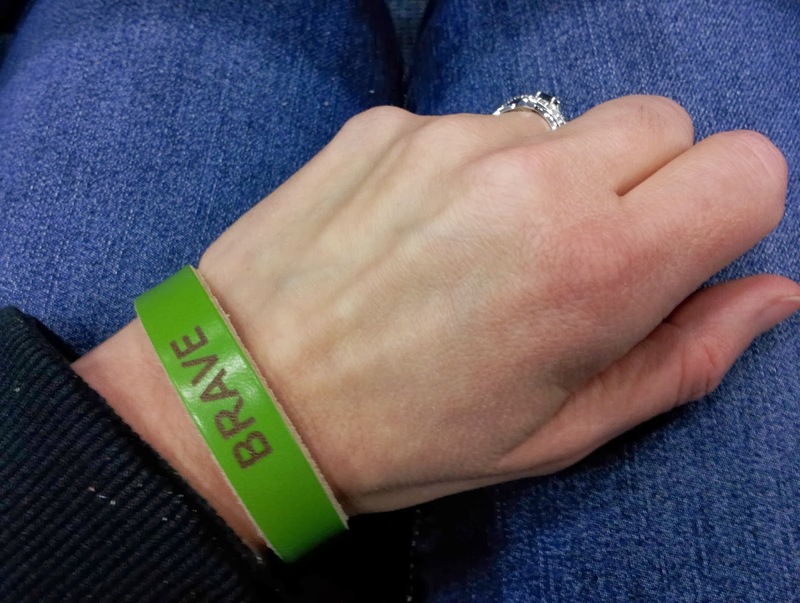 Some friends and I just bought a "brave" bracelet (http://thebravecollection.com/pages/shop) for a friend who is facing a difficult road ahead of her. So true, Nilsa. That bracelet is very cool. What thoughtful friends you are!